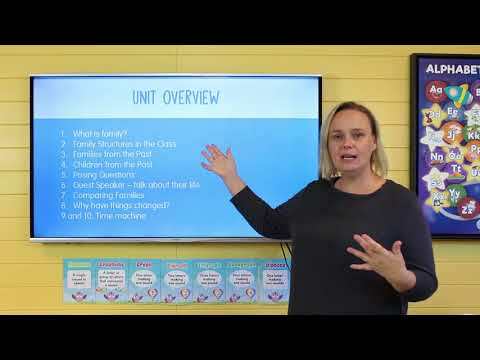 This unit is based on the Year 1 Australian Curriculum HASS Inquiry Skills, Knowledge and Understandings. 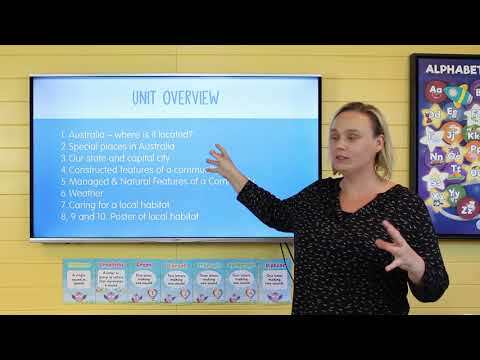 Students explore Australia on a local and global scale, looking at Australia’s location on the globe, the oceans surrounding Australia, special places in Australia and identify Australian states and territories. Students investigate natural, managed and constructed features within the community. Students compare weather in two local areas, and they explore daily and seasonal weather. Students explore local habitats, determining if they look healthy or unhealthy. They discuss how to care for local habitats, learning how and why it is important to keep these areas healthy. Students explore family structures and discuss similarities and differences. They investigate and pose questions for families from the past and compare them to their own families. Students use graphic organisers to compare life from the past with life today, including lunches and school holiday activities. Students also pose questions for a guest speaker who speaks to the class about their life and makes comparisons with their own life. Students discuss why things have changed over time, and they create a time machine in which to travel back in time to pose questions to a family member. 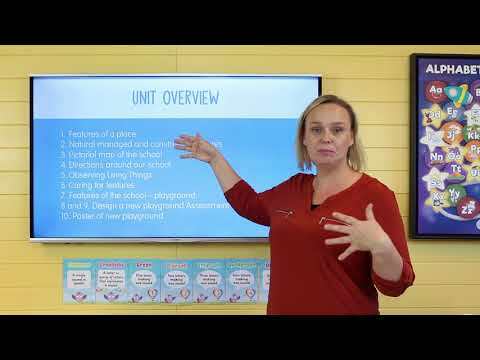 This unit is based on the Year 1 Australian Curriculum HASS Inquiry Skills, Knowledge and Understandings. Students explore time through photos of the stages of life and use terminology including yesterday, today, a long time ago, etc. They create a timeline of months and seasons, and significant events in their life. Students explore how we record memories and celebrate significant events. They explore how changed can happen to a person quickly or over time, and investigate what changes may happen in Year 1. Students create a time capsule of information on themselves. What are Different Features of Places? 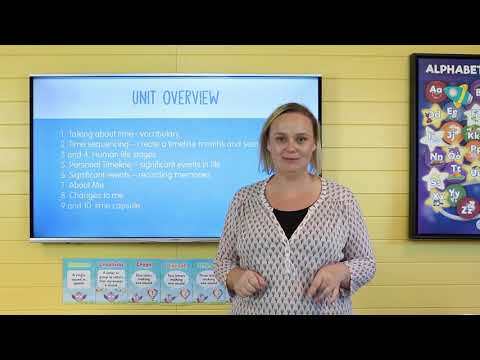 This unit is based on the Year 1 Australian Curriculum HASS Inquiry Skills, Knowledge and Understandings. Students explore the different features of places within the school environment. Students investigate what are, and how to care for, natural, managed and constructed features of the school and sort these into their categories. Students create a pictorial map of the school and use directional language to direct a peer around the school. Students look at the features of the school playground, and use this information to plan and design a new playground for the school. 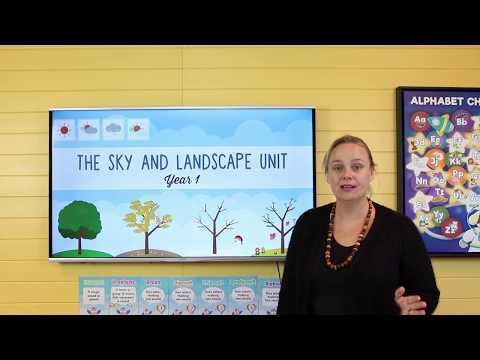 This unit has been designed for Year 1 based on the Australian Curriculum Earth and Space Sciences strand. Students will investigate the observable changes which occur in the sky and landscape. When examining changes that occur in the sky, students will look at the moon, features of the sky during the day and night, observing and recording the weather and they'll consider the necessary precautions to take in case of extreme weather conditions. They'll learn about the natural, managed and constructed features of the landscape. 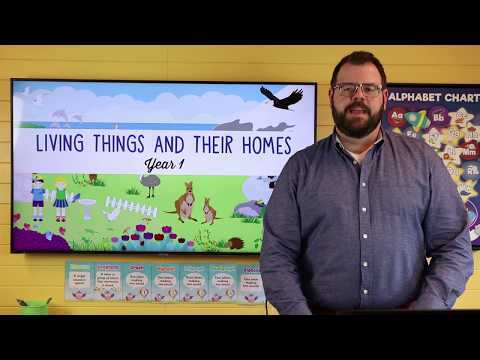 This unit will investigate – the features of living things and the places that they live. 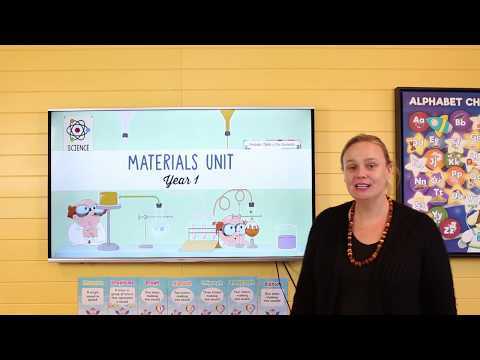 This unit has been designed for Year 1 based on the Australian Curriculum Physical Science Strand. Students will investigate sources of light and sound, and how we use our bodies to sense them. 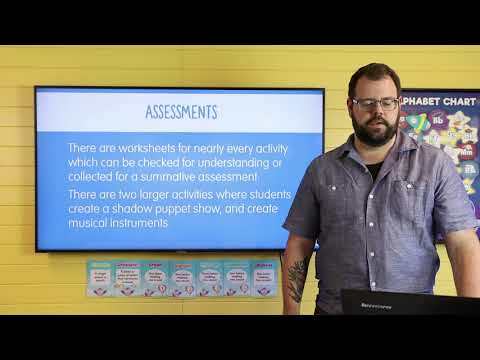 After learning about sources and senses, students will experiment with different ways to create and alter sound and light.